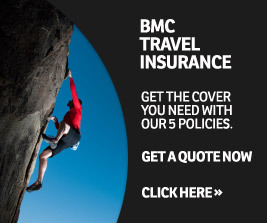 The summer of BMC climbing and walking festivals continues this month on the Cornish coast, in Avon Gorge and on the crags and hills of Northumberland, with more events to follow in September. 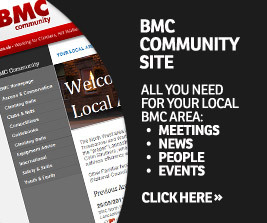 Join us for one or more of these fun get-togethers to celebrate 70 years of the BMC. 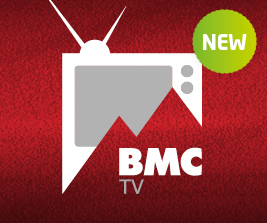 BMC ambassadors Shauna Coxsey and James McHaffie have been setting new standards recently. Shauna’s Bouldering World Cup challenge saw her take a brilliant second place in this year’s series, while James had an incredible big day out in the Lakes when he climbed 100 Extremes. Thanks to all who completed our club survey. The results are in, and your responses will help us to ensure that the BMC’s work continues to be relevant to the needs of clubs and club members. There may also be things that your club can learn from the survey. She's 21. She's from Runcorn. And now she's ranked second in the world. Congratulations to Shauna Coxsey on a stunning overall silver place in this year's IFSC Bouldering World Cup. Last weekend, Britain’s best boulderers headed to The Climbing Works in Sheffield to battle it out for the powerful crown of British Bouldering Champion. Alex Messenger reports. Supported by grants from the BMC, Mount Everest Foundation and The Alpine Club, Malcolm Bass and Simon Yearsley climbed to a point 140m below Janahut's virgin summit, where late in the day, and with the prospect of a difficult descent, they opted to retreat. Put on a brew and get ready wi’ the pie and peas – the Tour de France is coming to god’s own county this weekend. Abaht bloody time too. The British Isles is famous for having some of the best trad climbing in the world, and for good reason: it’s all packed into a relatively small area, yet offers a huge variety of rock types and styles of climbing. The meteo says “beau temps” for the next few days, and the sun is shining. You’re psyched and ready to leave the campsite to get your teeth into some real alpine rock. But in the alpine playground speed is king, so make sure you’re travelling light with the right kit. 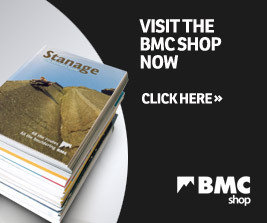 With over 1,600 responses the recent BMC club survey provides a useful insight into what people think. What could your club learn from the results?